A wave of jewelry is coming! ONDA (wave in English) is my latest collection of handmade jewelry. I have created three ocean-inspired, one of a kind pieces to celebrate the oceans. The ONDA jewelry includes stackable rings (with matching earrings) and stackable bracelets. 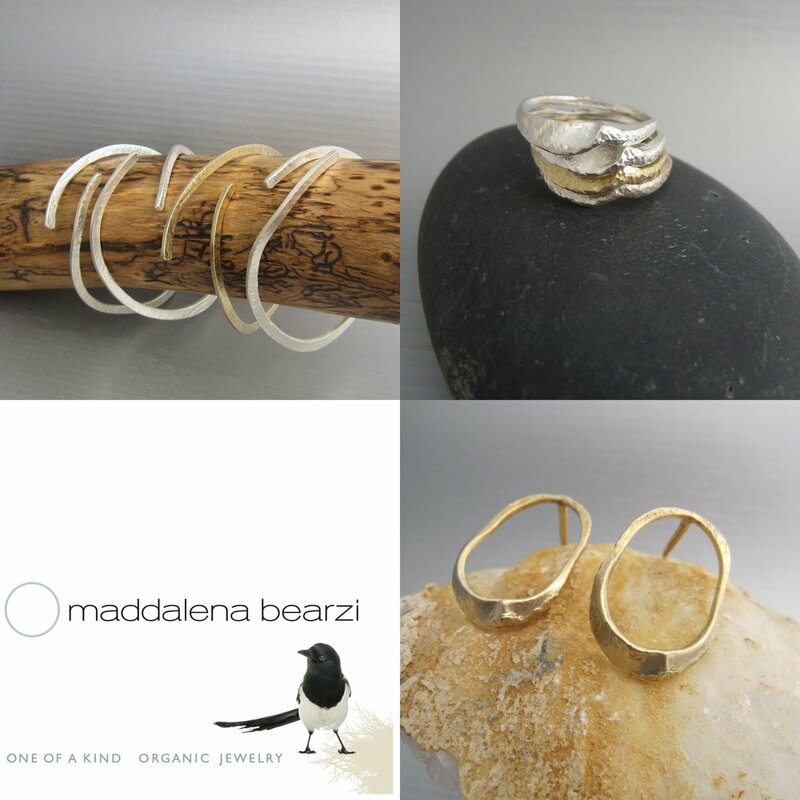 A single ONDA ring or bracelet is a jewelry statement itself, but these pieces create elegant ocean swells when combined together in the same or different metals.